Fox Outdoors Cantabrian Excursion Rucksack | BUDK.com - Knives & Swords At The Lowest Prices! 20.5" x 14" x 7" overall. 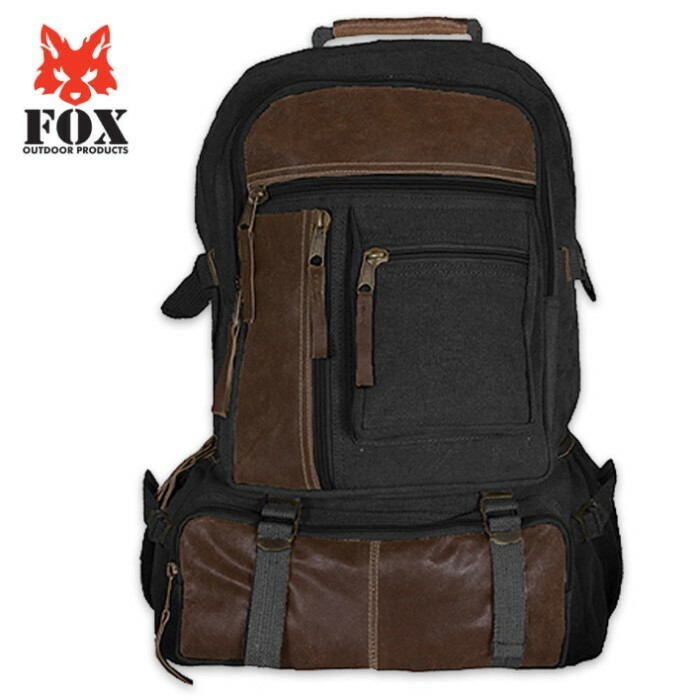 This retro Cantabrian Excursion Rucksack from Fox Outdoors offer tons of convenient features, durable yet stylish construction and all the quality you expect from Fox. The color washed canvas construction has genuine leather accents and trim, giving this oversized rucksack a retro look and feel. It offers tons of pockets, zippers and adjustable straps. The padded back and shoulder straps add the comfort factor to this winning package.20.5" x 14" x 7" overall.